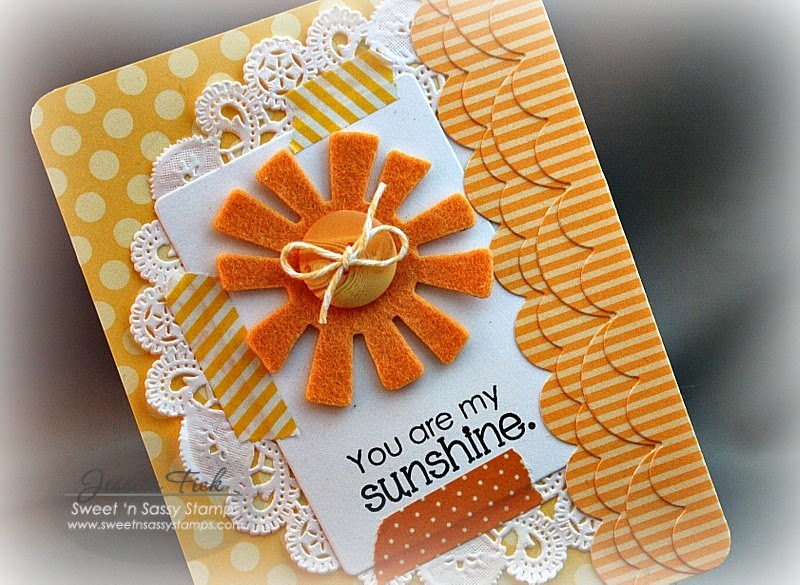 iEmbellish: You are my sunshine. 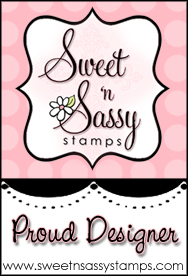 I'm popping in this afternoon to share a card I made using an adorable new Sweet 'n Sassy Stamps set Korin will be releasing next Friday, April 11 called Happy Happy along with their coordinating dies. 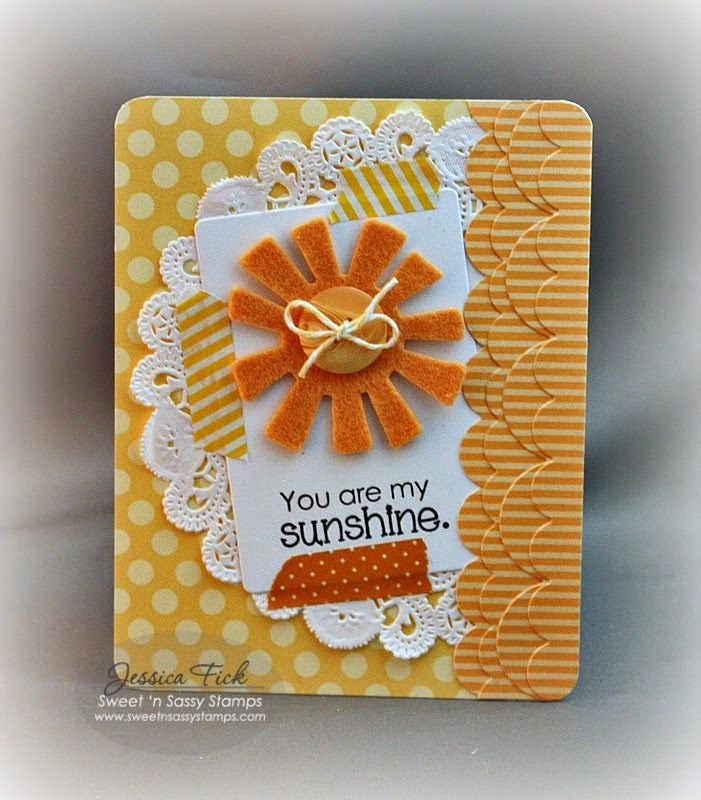 I used several of our scallop border dies (borders & backgrounds, scallop border dies) layered together and LOTS of yellows to make my happy, sunny card! I die cut the sunshine (LOVE this shape!) from felt and stamped my favorite sentiment from the new set along with it, adding some yellow washi tape, a yellow button (with yellow butter cream twine, of course!) and called it done. This card makes me happy with all the bright, WARM colors. I just wish it wasn't 37 degrees and cloudy outside with a chance of snow tonight (AGAIN!). No matter the weather, we can make sunny, happy card, right!? Hope you are enjoying the sunshine today! Wonderful cheery card Jessica - love how you have used the washi tape and alternated the differing sized scalloped borders.